What do the following have in common: the site of the world’s largest Adélie penguin colony, one of Cape Town’s main streets and a car park in northern France? The curious answer is that they are all named after nineteenth-century MPs! 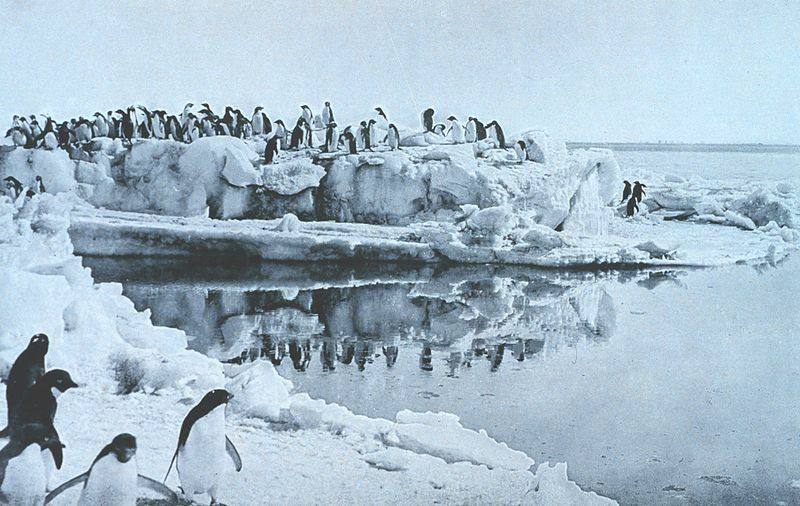 In 1841 the polar explorer James Clark Ross named Cape Adare in Antarctica, home to thousands of Adélie penguins, after his friend Edwin Richard Windham Wyndham-Quin, Viscount Adare. Heir to one of Ireland’s wealthiest men, the Earl of Dunraven, Viscount Adare sat from 1837 until 1850 as a Conservative MP for Glamorgan, a county with which his mother’s family had strong connections. Adare, who took a keen interest in science and had been elected as a Fellow of the Royal Society in 1834, was one of several individuals honoured by Ross in this way as he explored the region. Queen Victoria, Prince Albert, the Lords of the Admiralty and members of the Royal Society were among those whose names Ross used for various geographical features. While this honour involved no effort on Adare’s part, other place names recognised the political achievements of parliamentarians. 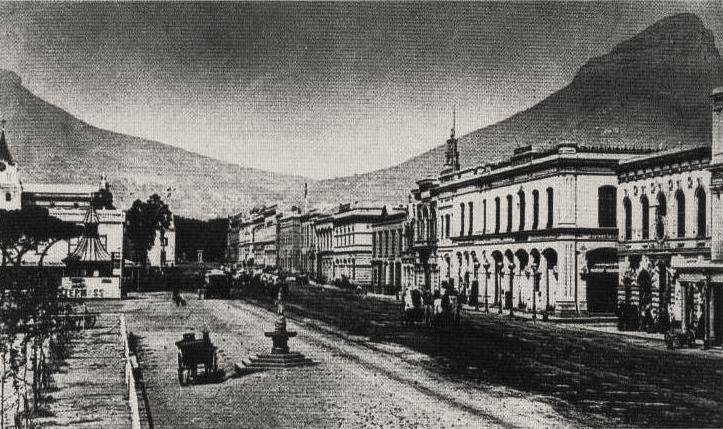 In 1850 Cape Town’s main street, the Heerengracht, was renamed Adderley Street, in honour of Charles Bowyer Adderley. Conservative MP for North Staffordshire since 1841, he had earned the gratitude of those in the Cape after he successfully forced Lord John Russell’s government to abandon its plans to transport convicts there. He argued in the Commons on 27 March 1849 that ‘this hitherto unpolluted Colony’ should be ‘spared the disgrace and affliction of being made a receptacle for the convicted criminals of the Mother Country’. Something of a mystery surrounds one claim regarding the naming of a place after a nineteenth-century MP. Situated on the west coast of Greenland, Uummannaq Fjord was at one time known as Jacob’s Bay or Jacob’s Bight. According to a family history, the Jacob in question was Ebenezer Jacob, who briefly represented the Irish borough of Dungarvan in 1834. It was said to have been named after him by the Arctic explorer, John Ross (the uncle of Adare’s friend, James Clark Ross), under whom he had served as a midshipman in the navy. Unfortunately information on Jacob’s naval career is sparse, and Ross’s account of his 1818 expedition to find the Northwest Passage makes no mention of having named the bay after Jacob, or indeed whether Jacob accompanied him on this voyage at all. Easier to explain is why the northern French town of Croix should have a car park bearing the name of Isaac Holden, a long-serving Liberal MP who was referred to as the ‘Grand Old Man of Yorkshire’. 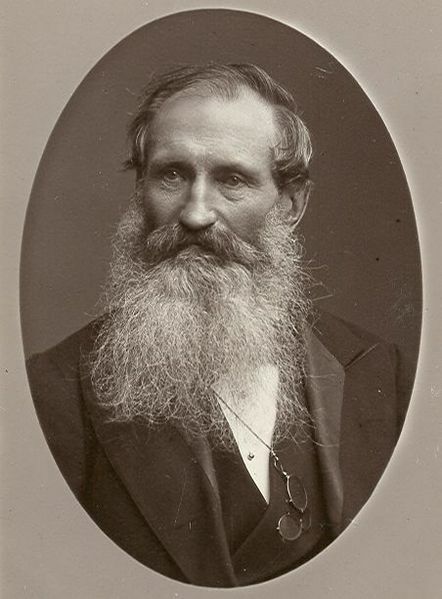 One of the nineteenth century’s most notable examples of a self-made man, Holden rose from humble origins in Scotland to make his fortune in the wool-combing industry. He sat as MP for Knaresborough (1865-8), the northern division of the West Riding (1882-5) and Keighley (1885-95). As well as factories in Bradford, Holden owned extensive wool-combing works in Reims and Croix, and played a major part in the development of these towns. The street in Croix on which ‘Parking Isaac Holden’ is located is Rue Isaac Holden Crothers, named after Holden’s nephew, who managed the Croix factory after his uncle moved back to Yorkshire in the 1860s. This excellent blog from the Special Collections Department at the University of Bradford (home to the Holden papers) provides further insights into the connections between the Holden family and these two French towns. For information on how to access our draft biographies of the MPs featured here, follow this link. This entry was posted in Biographies. Bookmark the permalink. Thanks for the mention – fascinating to see the stories of other C19 MPS!